This book follows the social, economic and demographic transformations of the Alpine area from the late Middle Ages up to the present day. Its aim is to reassess the image of the upland community which emerges from the work of historians, geographers and social anthropologists. The work aims to test a number of theoretical propositions concerning the ways in which mountain populations achieved a viable balance with their resources. The book therefore deals at length with such problems as the causes and consequences of emigrations, patterns of marriage and inheritance and the relative importance of cultural and environmental factors in shaping family forms and community structures. Although founded on specific anthropological fieldwork, the work relies on the methods and conceptual tools of historical demography, and is unusual because of its utilization of anthropological and historical evidence covering the whole Alpine area. 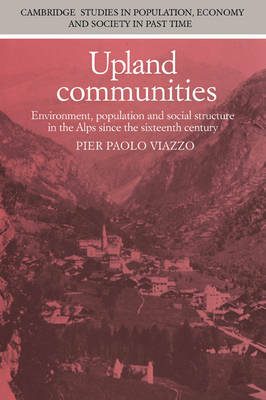 Buy Upland Communities by Pier Paolo Viazzo from Australia's Online Independent Bookstore, Boomerang Books.